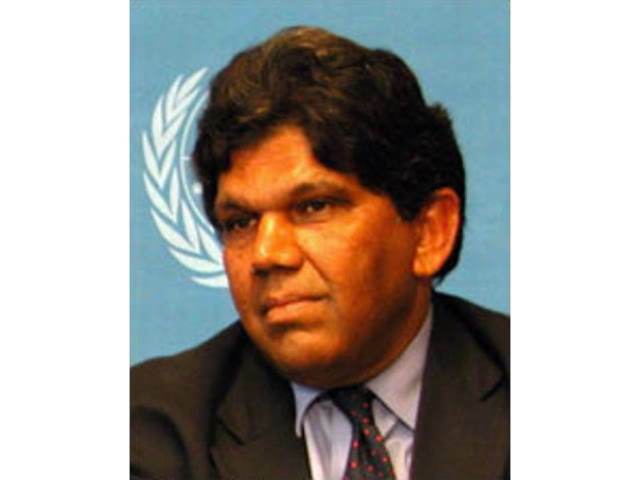 According to former Deputy High Commissioner Bertrand Ramcharan, the international community continues to look to the UN Secretary-General to stand up for the principles of the organization. He must help steer a course toward realizing UN goals in the areas of peace, development, human rights and humanitarianism. The Secretary-General must navigate the power configurations and political currents of the UN membership as well. And he must strive to be the moral voice of the world. Ramcharan then suggests that following the departure of incumbent High Commissioner Zeid Ra’ad al-Hussein in August 2018, the new High Commissioner must contend with triple responsibilities of (1) leadership, intellectual and moral; (2) trouble-shooting in crises; and (3) diplomacy to help take the UN cause forward in our uneasy times. Here is his views and suggestions. There is a crisis in the United Nations human-rights system. Secretary-General António Guterres can lead the way out of it. Indeed, the world continues to look to the UN secretary-general to stand up for the principles of the organization. One of the highest responsibilities of the incumbent is to help steer a course toward realizing UN goals in the areas of peace, development, human rights and humanitarianism. The secretary-general must navigate the power configurations and political currents of the UN membership as well. And he must strive to be the moral voice of the world. These diverse responsibilities are riddled with dilemmas and challenges. The United States recently pulled out of the UN Human Rights Council, which has both critics and explainers. Zeid Ra’ad al-Hussein, the high commissioner for human rights, who is stepping down in August, has been an ardent critic of the US and other governments. While civil society praises the outspokenness of a high commissioner, Guterres must be wise in selecting a successor. He must respect and affirm the independence of a high commissioner, but he also must help steer a course for the UN in the crucial mainstays of its work, which, I repeat, are peace, development, human rights and humanitarianism. Whatever one thinks of the politics behind the American decision to withdraw from the Human Rights Council, this is not a good development for the UN. This is a problem for Guterres, who needs to think about policies that can help avoid crises like this in the future. There are also deep policy issues that the next high commissioner must contend with. He or she faces triple responsibilities: leadership, intellectual and moral; trouble-shooting in crises; and diplomacy to help take the UN cause forward in our uneasy times. The leadership required of a high commissioner is particularly crucial now, as a resurgent global power, China, is resetting the ground rules of the international order, including on human rights; when the former pre-eminent power, the US, is ambiguous on international values; when political tribalism and populism are rising; when democracy is challenged; and when terrorist movements run amok. The high commissioner operates under the authority of the secretary-general, so Guterres must exercise the right leadership. But this is never easy. From the first UN secretary-general to the present one, they have all tried to hide from dealing with the human-rights part of their responsibilities. This is because of the political complexities involved. Secretaries-general face a structural problem: the very member nations of the UN that should uphold human rights are the ones that violate them. These member states have voting majorities in the General Assembly and in the Human Rights Council. They negotiate new norms and decide whether or not action should be taken to prevent, or counter, gross violations of human rights. Oppressive governments hold the majorities in votes, so they are the ones that decide whether the principle of justice should be activated or avoided regarding egregious violations of human rights. Chances are that this dynamic will never change, for this is the nature of the world polity. The UN Office of Legal Affairs would maintain a list of qualified people from whom the secretary-general could empanel a court of five members when, in his judgment, the scale of violations warrants it. Guterres would also establish a voluntary fund drawing on popular contributions to cover the costs of the court’s operations. The Office of Legal Affairs would draw up the court’s rules of procedure and be its secretariat. It should be emphasized that exercising the court would not be an everyday occurrence, but its presence would sidestep the structural contradictions built into the Human Rights Council and activate a conscience in dire cases. In addition, it is crucial at this juncture to support and reinforce the Universal Declaration of Human Rights as the central rallying ground for all of the world, especially as it celebrates its 70th year on Dec. 10. All 193 UN members participate in the Universal Periodic Review process in the Human Rights Council and, so far, they all nominally profess adherence to universality. Unfortunately, the review process operates in generalities. Guterres should ask the next high commissioner to publish a world report on national protection systems every few years, based on the information gathered in the review process. This can be a constructive and nonthreatening exercise that will rationalize the Universal Periodic Review process and ensure greater quality of the UN human rights system. Guterres can also invite the committee that supervises the implementation of the International Covenant on Economic, Social and Cultural Rights to concentrate on alleviating extreme poverty when it considers reports from states parties. Reducing poverty and promoting equality is crucial for progress on human rights worldwide. Guterres has a way out of the human-rights crisis mired in the UN. He must act accordingly. To support a free press and democracy, please donate to PassBlue, a nonprofit journalism site.